Gate777 Casino is an online NetEnt casino that was launched in March 2018, and is owned and operated by Caddell Limited N.V. The company is licensed in the UK by the UKGC and in Malta by the MGA. Gate777 Casino has a travel-inspired theme where players get to board the Gate777 plane, play, and win. The casino website has a clean and modern theme, and is easy to navigate. It is also available on all platforms: tablet, smartphone, and laptop/desktop. The casino has a huge selection of casino games from the industry’s top software providers, such as: NetEnt, Elk Studios, Leander, Evolution Gaming, 1×2 Gaming, 2 By 2 Games, Blueprint, Big Time Gaming, Lightning, Merkur, Microgaming, NYX, Quickspin, and Thunderkick. There is a wide selection of gaming providers on offer. Over 18 progressive jackpot slots available. Players from the USA are restricted from playing at this casino. Minimal selection of table games. No Telephone support is available. 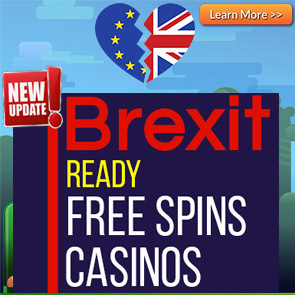 Get a 50% up to €/$200 + 25 Extra Spins on Aloha! 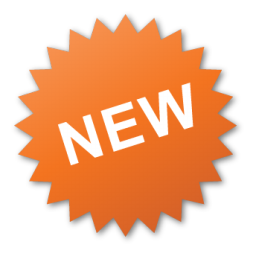 New players are allowed to accept the abovementioned bonuses. Players must be 18 years or older. Click here for a full list of Terms and Conditions. BeGambleAware. The wagering requirement for the Welcome bonus is 35 times (bonus + deposit). The welcome bonus is not available for UK players. Players residing in the following countries cannot accept any bonus offers at the casino: Armenia, Poland, Greece, Cyprus, Hungary, Croatia, Ukraine, India, Russia, Czech Republic, Slovakia, Slovenia, Estonia, Georgia, Lithuania, Latvia, Bosnia and Herzegovina, Macedonia, and Serbia. 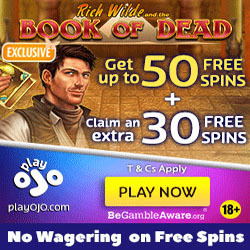 Different games contribute to different percentages in fulfilling the wagering requirements: Slots: 100%; the following slots contribute 20%: 300 Shields, Big Bad Wolf, Blood Suckers, Bloodsuckers II, Dead or Alive, Jackpot 6000, Kings of Chicago, Lucky 8 Line, Secrets of the Stones, Super Nudge 6000 & Victorious; Table Games and Video Poker Games: 10%; Scratch cards and Keno: 100%; Other Games: 100%. The following slots contribute 0% in fulfilling wagering: Beautiful Bones, Big Bang, Boxo, Castle Builder I, Castle Builder II, Champion of the Track, Cool Buck, Crime Scene, Dallas, Devils Delight, Dragons Myth, EggOMatic, Forsaken Kingdom, Fruits Gone Wild, Lucky Angler, Peek-a-Boo, Relic Raiders, Robin Hood, Scrooge, Stardust, The Lost Riches of Amazon, The Wish Master, Tomb Raider Secret of the Sword, Tower Quest, Twin Joker, Untamed Bengal Tiger, Untamed Crowned Eagle, Untamed Giant Panda, Untamed Wolf Pack, Valkyries of Odin, White Rabbit, and Zombie Rush. The deposit options at Gate777 Casino are: Visa, Mastercard, Skrill, Neteller, Paysafecard, Trustly, Giropay, Interac Online, dotpay, Sofort, and SEPA Bank Transfer. You can deposit using the following currencies: EUR, CAD, NZD, NOK, SEK, and GBP. Afghanistan, Albania, Algeria, American Samoa, Angola, Australia, Austria, Belgium, Bolivia, Bulgaria, Cuba, Denmark, Ecuador, Ethiopia, France, Ghana, Guam, Guyana, Hungary, Indonesia, Iran, Iraq, Israel, Italy, Kenya, Lao Peoples Democratic Republic, Latvia, Lithuania, Malta, Myanmar, Nigeria, North Korea, Northern Mariana Islands, Pakistan, Panama, Papua New Guinea, Poland, Réunion, Romania, Russia, Sao Tome and Principe, Singapore, Slovenia, Spain, Sri Lanka, Sudan, Syria, Tanzania, Thailand, Turkey, Uganda, United States, United States Minor Outlying Islands, Vietnam, Virgin Islands (U.S.), Yemen, and Zimbabwe. Azerbaijan, India, Japan, Malaysia, Qatar, and Tunisia. For any queries, contact customer care via Online Live Chat, or Email.